Sri Ravindranath Savdeykar, principal in the purpose of the meeting narrated the objectives of Vivekananda kendra. Coming together provides us an opportunity to tune ourselves once again with the nation building work. Other dignatories Dr. Sristidhardutta, rtd.dean Rajiv Gandhi university, Itanagar, Smt. SriparnaBagchi, Dr. VasantBarve,Dr. MinakshiBarve were also present in the meeting. 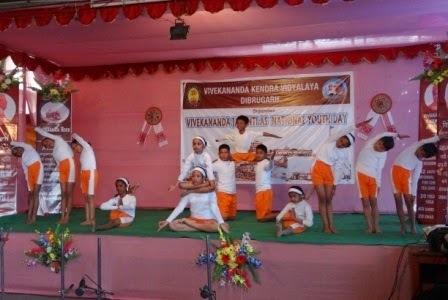 A cultural program was presented by the students of the vidyalaya. Satriyanritya, bharatnatyam, creative dance, dholwadan received the appreciation from the audience. Yoga demonstration was the best performance by the students. To mark the day cycle rally was also organised by Vkv dibrugarh in the morning in the dibrugarh town. 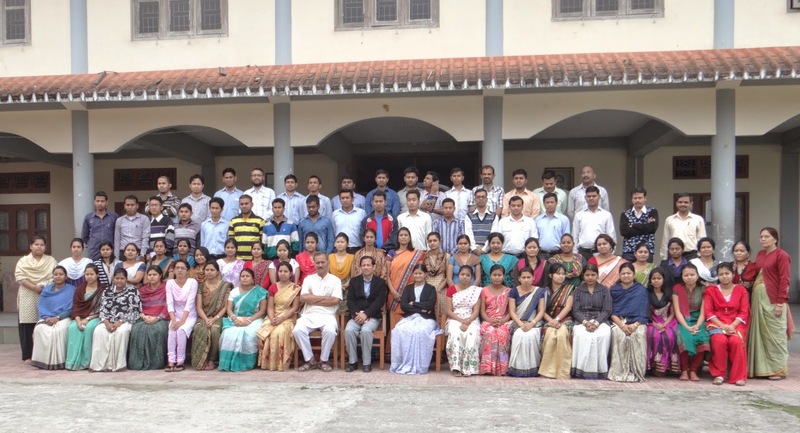 Total 300 students took part in it. Group of students from various vidyalaya joined in it. 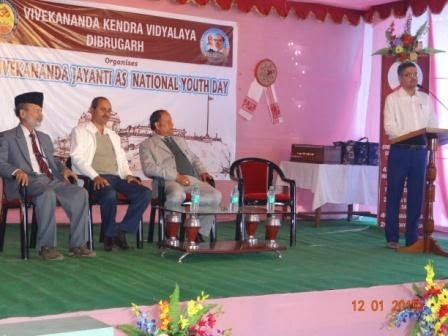 Sri B M Naidu, Vice principal offered vote of thanks. Audience of more 1000 enjoyed the colourful cultural program.